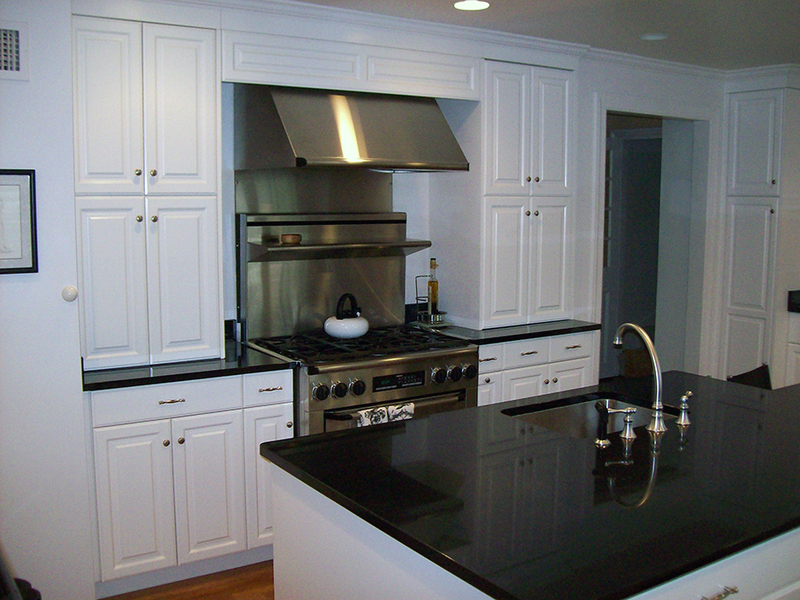 White conversion varnish cabinets with black granite counter tops. 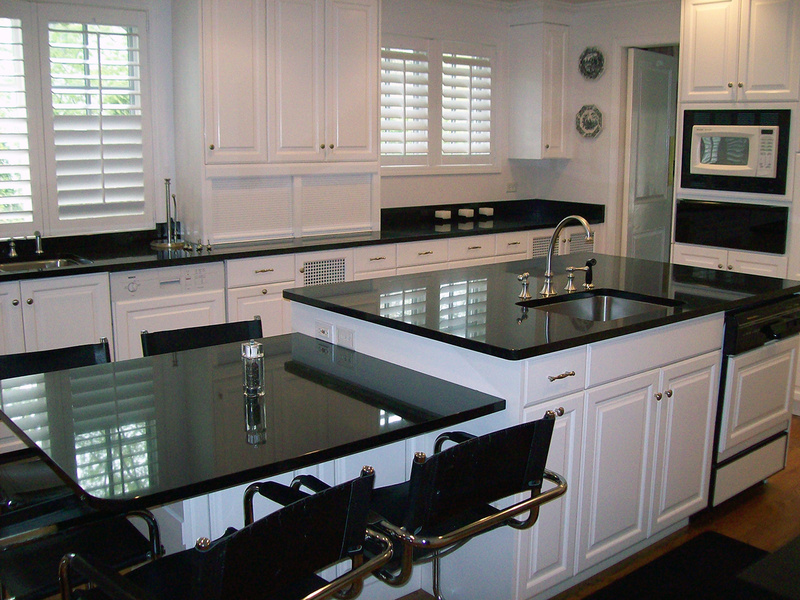 A new Kitchen gave this older home a new updated look. 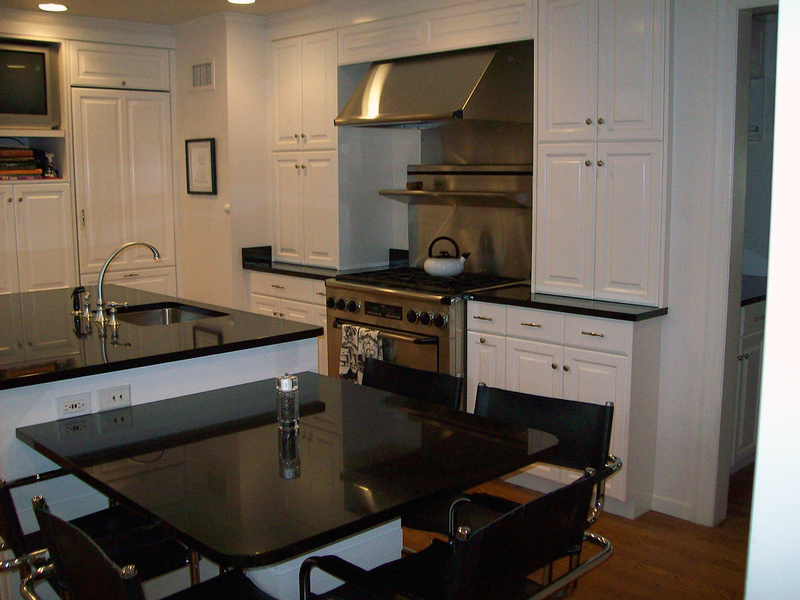 White Conversion Varnish Cabinets with Black Granite Counter Tops. 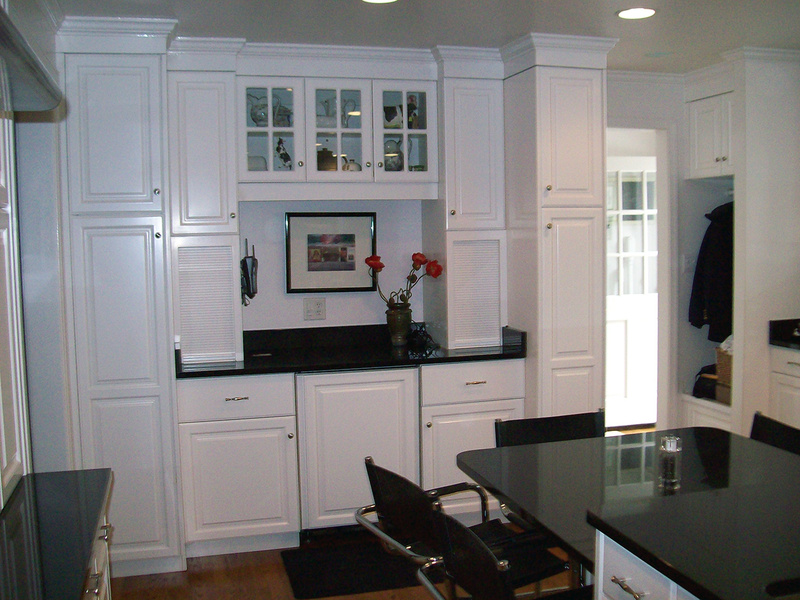 Cabinetry to the ceiling with Crown Molding gives this traditional Kitchen a sharp finished look. The Large Island cabinet with sit down area makes this the perfect Kitchen for a young family. Mom can make dinner while the children do their homework. 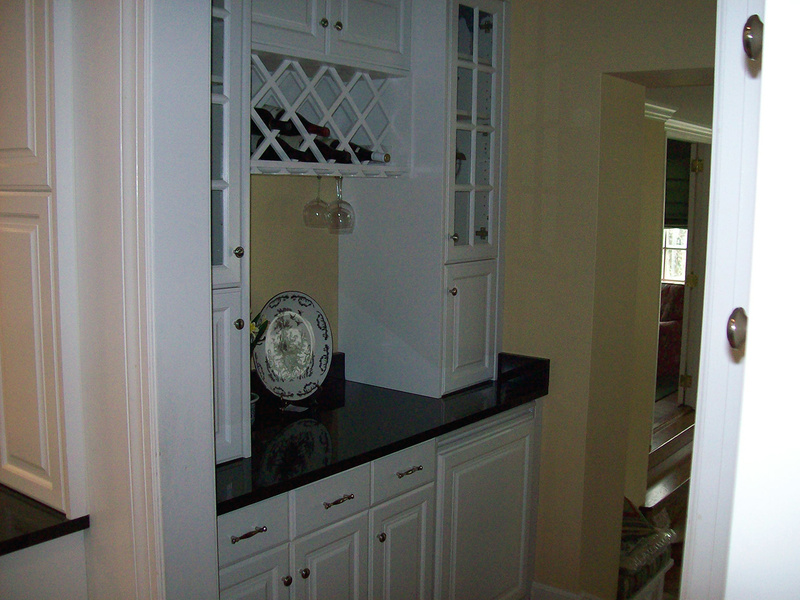 A place for everything, Tall storage cabinets, display cabinets with glass doors, and counter space to work. Wine rack and bar area just off the kitchen add to the comfort and function of this large family home.